”I can’t imagine my daughter’s life without LICC. LICC is priceless to me." Being a part of LICC has been a wonderful, empowering experience for our daughter." ”Thank you so much from the bottom of our hearts for volunteering your time and beautiful talent for our Light the Night Walk. It meant so much to LLS and our attendees, especially those who have lost loved ones." "Singing lets you spend more time with your friends and get to know each other better. You can also make tons of new friends. When I sing, I just let out my nervous feelings and bring in warm, nice feelings. The most important thing to do while singing is to HAVE FUN!" "I want to personally thank you and all the children who performed at our reception on April 8th. It truly was the highlight of the evening and all of the children should be proud of their performance." "Thank you for providing a wonderful opportunity for our children. We really appreciate it"
"I used to get nervous performing, but not anymore. I think other kids should join because it helps you to make a lot of new friends and you get to sing along the way. And Ms. Regan is bubbly and funny, which makes it fun." 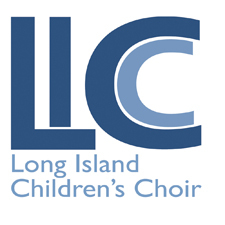 "Colleen Regan is one of the premier music educators on Long Island. I have had the privilege of working with her students both at the Usdan Center as well as in my capacity as a private vocal instructor. I find her students to be advanced in every aspect. Their respect for the arts and music as well as their advanced musical abilities make them a dream to teach. Their sight reading abilities, a real challenge for young singers, are comfortably at level V and VI NYSSMA sight reading. Their ability to read and understand the literature put in front of them is something I have never seen in middle school aged students. Mrs. Regan is a true leader in music education. Those who have the privilege of working with Colleen Regan in any capacity are truly in for an exciting and educational learning experience!" "I recently found out the most wonderful teacher is starting a children's choir and I wanted to express the amazing experience my daughter Hallie had during her middle school career with Mrs. Regan as her teacher. Hallie participated in elementary chorus and was unsure she wanted to continue when she entered West Hollow Middle School. She decided to try the program based on rave reviews from an older friend. Hallie connected with Mrs. Regan immediately and loved her 'escape' to chorus. At the end of her first year Hallie was concerned she would not be able to handle the added pressure of seventh grade classes with her goal to make National Junior Honor Society. She decided it may be best not to continue with chorus because of the requirement to be pulled from classes. Mrs. Regan spoke to Hallie and called home to talk to me directly to let us know how much she enjoyed my daughter as a student. She made both of us feel so wonderful that she took the time to care and encourage Hallie to stick with it. She did and never looked back! I can safely say Mrs. Regan will be fondly remembered and greatly missed. Any child who is fortunate enough to work with her in any capacity should consider him/herself lucky!" "Colleen Regan is a wonderful vocal teacher and coach. She challenges her students, while encouraging them and leading them in the right direction. She is professional and thorough and commands the best from her students while somehow making the lessons fun. My daughter's range and strength and tone have improved vastly under Mrs Regan's guidance. She has been instrumental in helping my daughter sing lead roles in theatre productions, group performances in various Idol competitions and choral performances. She is passionate about her students, and they are excited to be part of her group because they know how great they will sound at concerts and performances. Most importantly, Colleen Regan cares. She works tirelessly bringing out the best in her students."